Image: Shop Disney, Nordstrom, Design Life Kids, Anthropologie, Bas Bleu. Design: Ashley Britton/SheKnows. For some, the holiday season starts the day after Halloween; you wake up, and your next-door neighbor has somehow put up all their Christmas lights, is blasting Christmas carols through a loudspeaker and has a 12-foot inflatable Rudolph twerking on their front lawn. (I swear I’m not that neighbor. OK, fine maybe I am.) For others — with slightly more subtlety and tact — the holiday season starts slowly; a snow globe appears on the mantel, a wreath appears on the door. And regardless of your decorating style, there are so many better ways to count down to the big day than those flimsy cardboard kids Advent calendars with gross, rock-hard chocolate inside. You thought that was the only option, didn’t you? It’s OK. Your kids will forgive you. 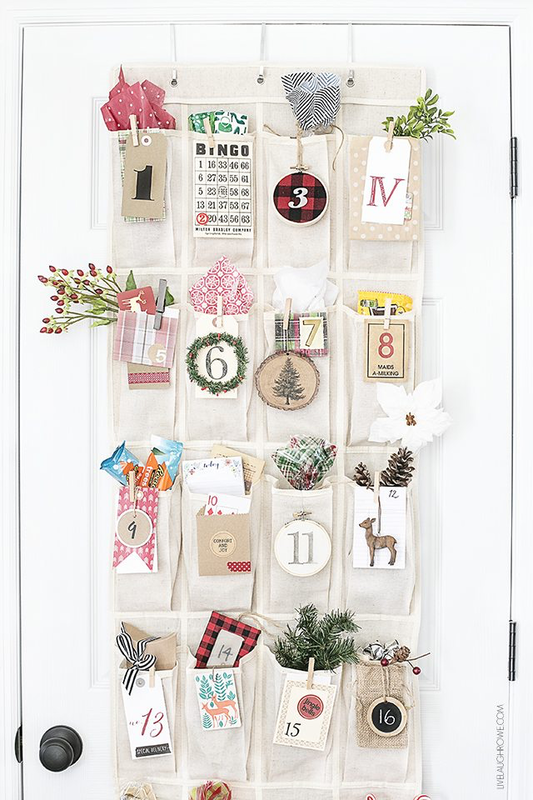 Not sure how to find an Advent calendar that actually adds to your holiday decor? Not to worry; we’ve rounded up the coolest Advent calendars, from DIYs to Disney figurines, trains to chocolates and more. Your kids will love these so much, they might actually be sad when Christmas arrives — because their awesome Advent is over. But hey, at least then, there will only be 365 days till next Christmas. 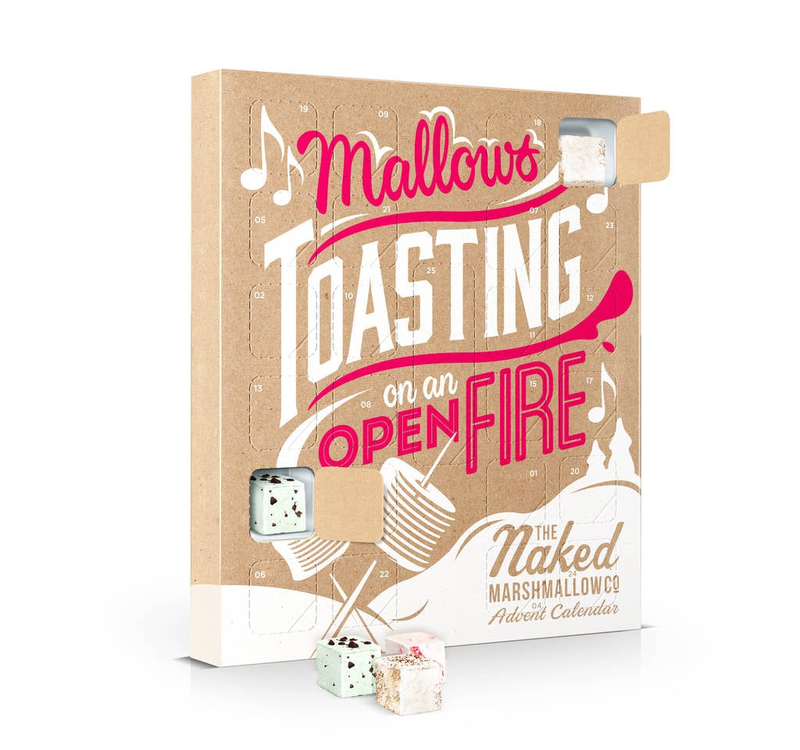 Um, a marshmallow Advent calendar?! The genius behind this is a gentleperson and a scholar, my friend. With flavors like salted caramel, candy floss, strawberry cream, gingerbread, mint chocolate chip, s’mores and even a Belgian hot chocolate spoon with vanilla bean marshmallow behind the final door on Christmas Day, could you ask for anything more? 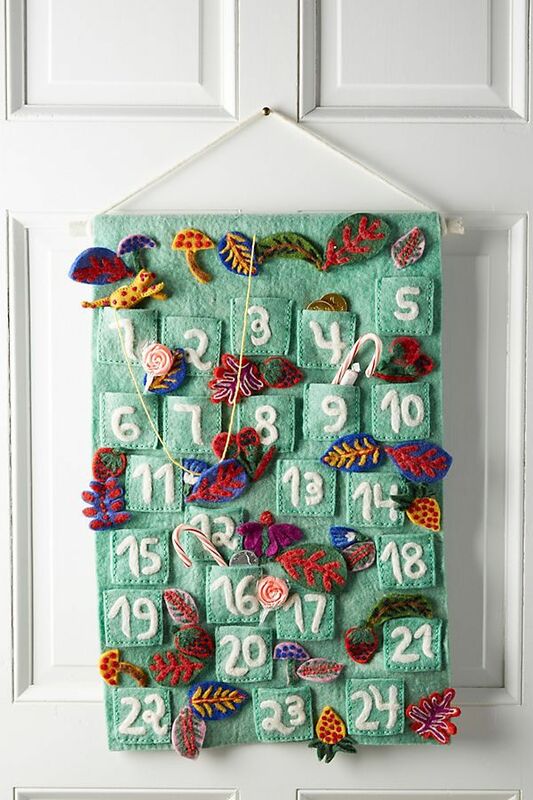 This gorgeous felted Advent calendar from Anthropologie will quickly become a family heirloom. It has 24 pockets in which you can hide all kinds of treats and is covered in leaves, mushrooms, flowers and other forest details. It’s a whimsical take on a holiday classic and is just too darling to pass up. 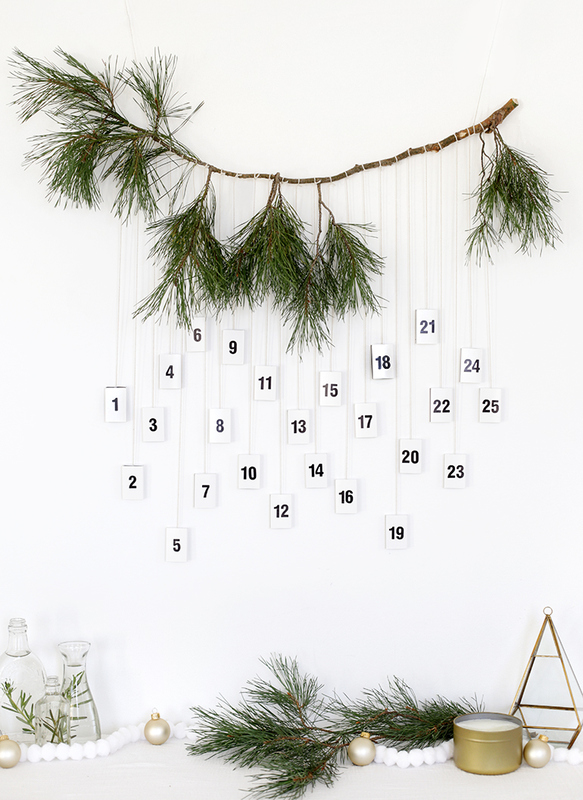 If you’re looking for an Advent calendar that counts down with activities or other holiday cheer instead of treats, this is the perfect DIY for you. Unbelievably simple, and strikingly beautiful hanging on your wall, this is an Advent calendar you can personalize with ideas like “Watch a Christmas movie together,” “Go Christmas caroling” or “Drive around the neighborhood with hot chocolate looking at all the decorated houses.” Head on over to The Merrythought for the full tutorial. 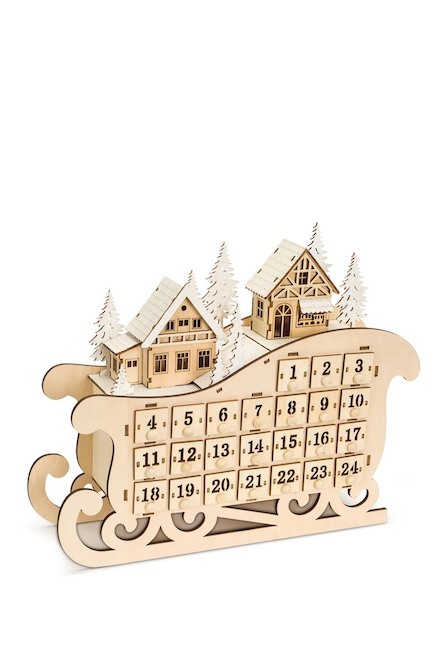 This is the perfect Advent calendar for the littler elves on your list. Featuring 24 pop-out characters, simply fold down the lid to reveal a colorful floor to place the characters and create the ultimate winter wonderland. Bonus: It’s made with recycled paper and printed with vegetable inks. 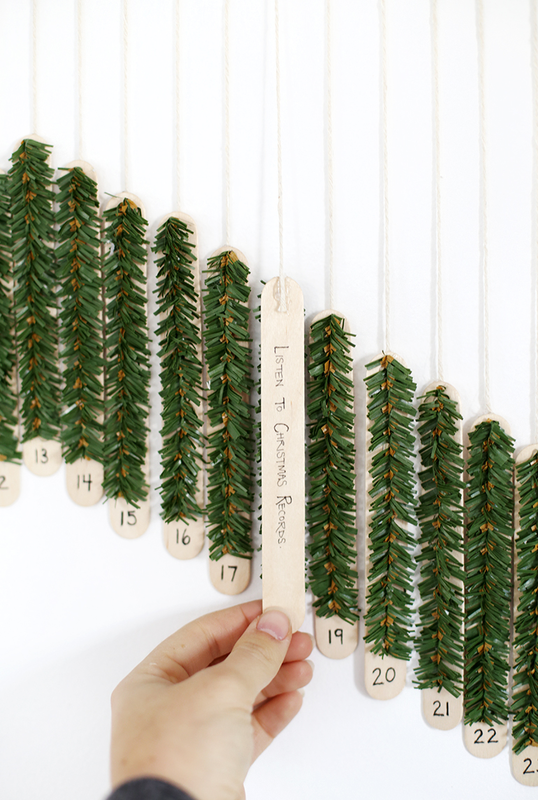 Want to do an Advent calendar but didn’t realize it until Dec. 1? Don’t panic. You can still ditch that cardboard calendar from the grocery store with the chocolates that also taste like cardboard (and may or may not have been sitting on that shelf since 2002). 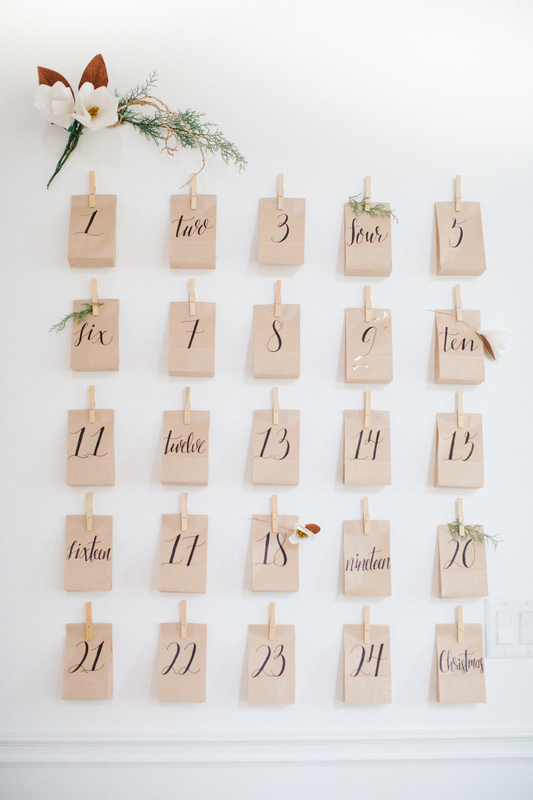 This DIY paper bag Advent calendar requires two things: brown paper lunch bags and clothespins. Yes, I’m serious. And how incredibly impressive does that look? This is the simplest of simple DIYs, with full instructions at Monika Hibbs. 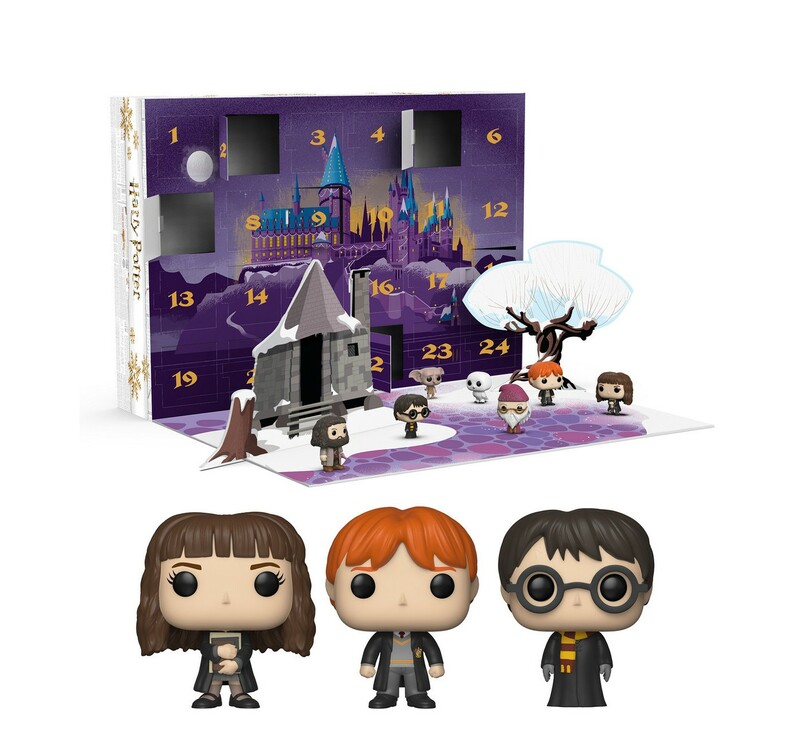 If your kid is a Potterhead, be prepared to be adored, because this Funko Harry Potter Advent calendar featuring mini-figures of their favorite characters is a guaranteed Christmas win. The cover folds down and has pop-up scenery, for them to reenact their favorite scenes. Just remember, it’s levi-O-sa, not levio-sa. This DIY matchbox Advent calendar tutorial from the team behind The Merrythought is truly superb and is great if you want to be festive but the idea of having a gaudy Advent calendar just isn’t for you. This countdown calendar is subtly sophisticated and achieves peak holiday cheer with minimal effort. 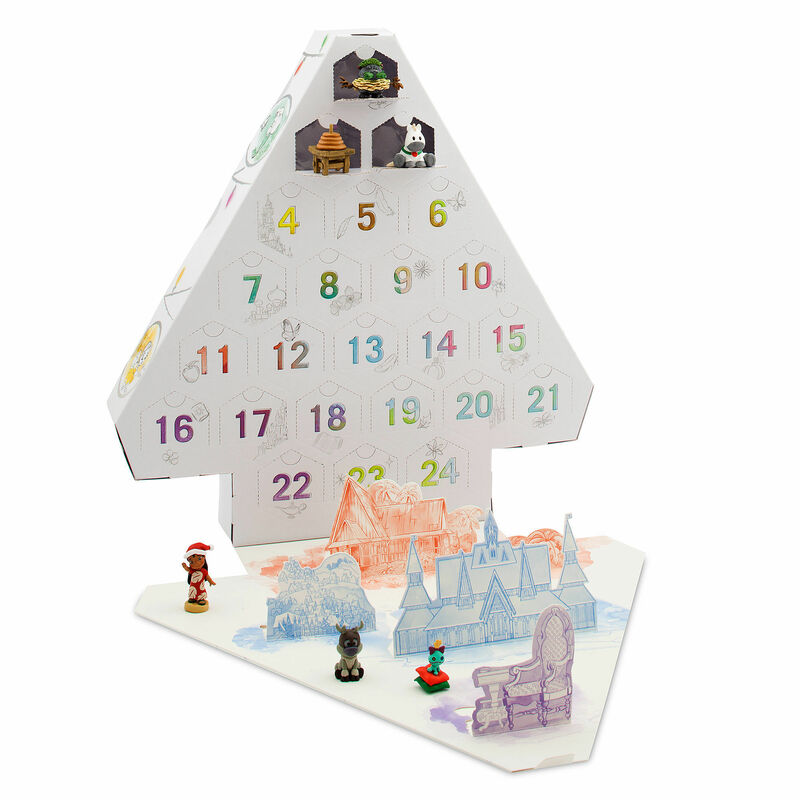 This adorable Advent calendar features a fold-down cover with pop-up scenes, and in each compartment, your kids will find their favorite Disney characters, accessories and holiday-themed items. 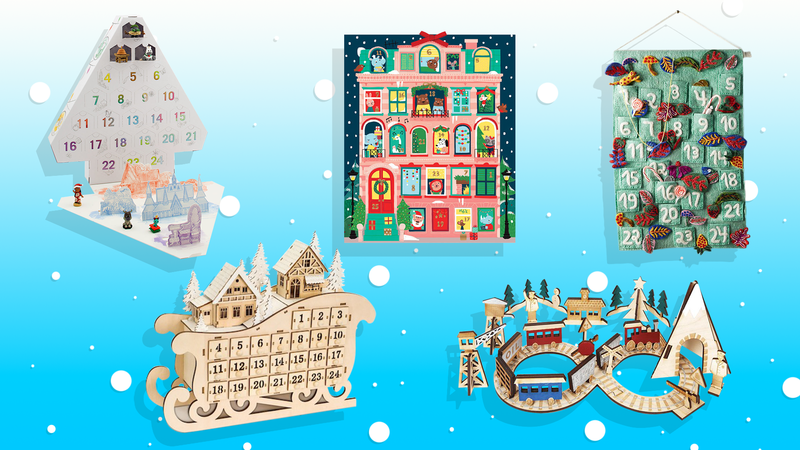 For an Advent calendar you can use year after year, these teeny wooden houses are the answer. Charming cottages and festive icons count down the season’s days, and each numbered drawer slides out to reveal a treat of your choice that can change each year. 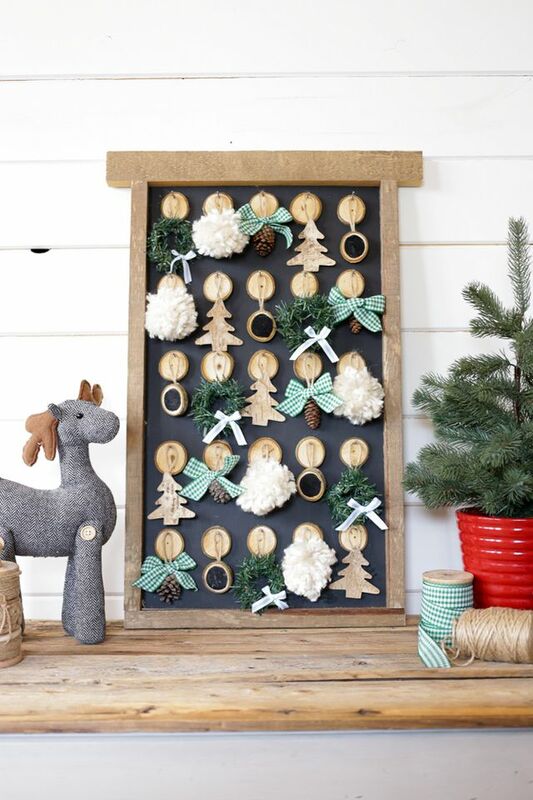 Nothing says Christmas like decorating the tree, and this DIY ornament Advent calendar is the perfect way to add an ornament to your tree each day. By Christmas Day, you’ll have a fully decorated tree, and it’s a fun alternative to a calendar that focuses on sweets, treats or toys. Get the step by step tutorial at Remodelaholic. 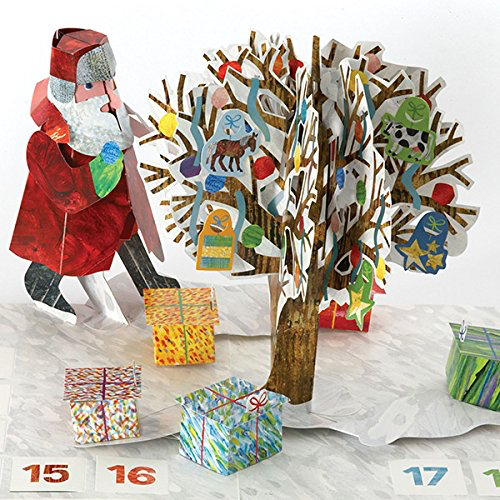 Count down the days until Christmas with this wonderful pop-up advent calendar based on the popular Christmas story Dream Snow by Eric Carle, author of the beloved classic children’s book, The Very Hungry Caterpillar. Open a window each day to reveal a new decoration to add to the display. By the time Dec. 25 arrives, you’ll have a very dreamy Christmas scene! I bet you never thought you’d see the words “coat hanger” and “Advent calendar” in the same sentence, yet here we are. 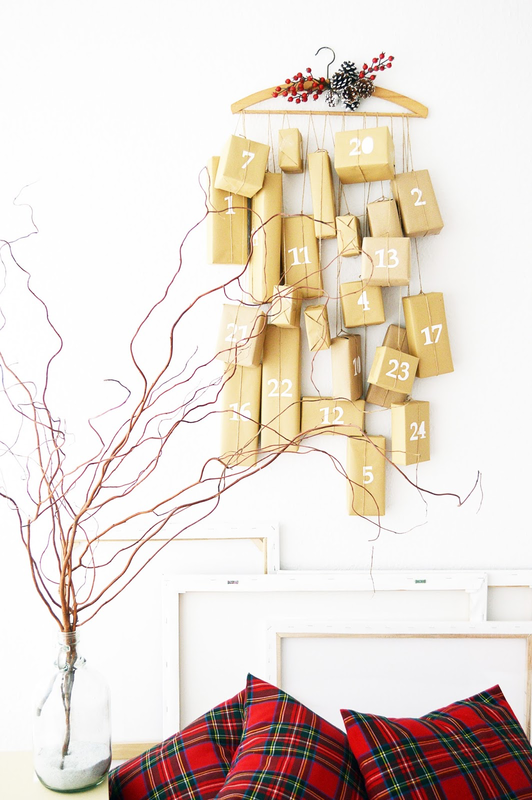 This ultra-simple DIY Advent calendar requires, yup, you guessed it, a coat hanger and some kraft paper. The end. That easy. But look how cheerful and festive it is! This is a great Advent if you’re planning to wrap up little toys or books for your kids’ countdown. Check out the full tutorial at Motte. 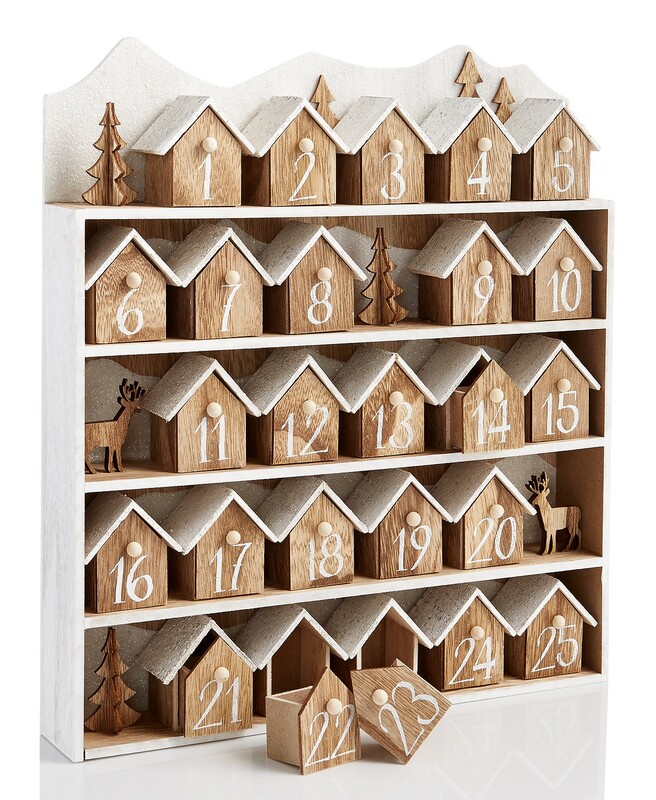 For an undeniably Christmassy Advent calendar, this wooden sleigh with 24 tiny doors is topped with classic holiday silhouettes like a pine tree forest, a snowcapped cottage and reindeer. The cottage lights up for the ultimate cozy Christmas glow. You read that right. A shoe organizer. Why go buy a thing with 24 pockets when you have one hanging on the back of your closet door? Toss your shoes under your bed and get out the Dust Buster, because your shoe organizer is about to live its best life. This DIY shoe organizer Advent calendar can be found on Live Laugh Rowe, and the best part is, the pockets are big enough to hold just about anything, so you don’t have to spend hours searching for teeny-weeny treats to squeeze into itty-bitty doors. 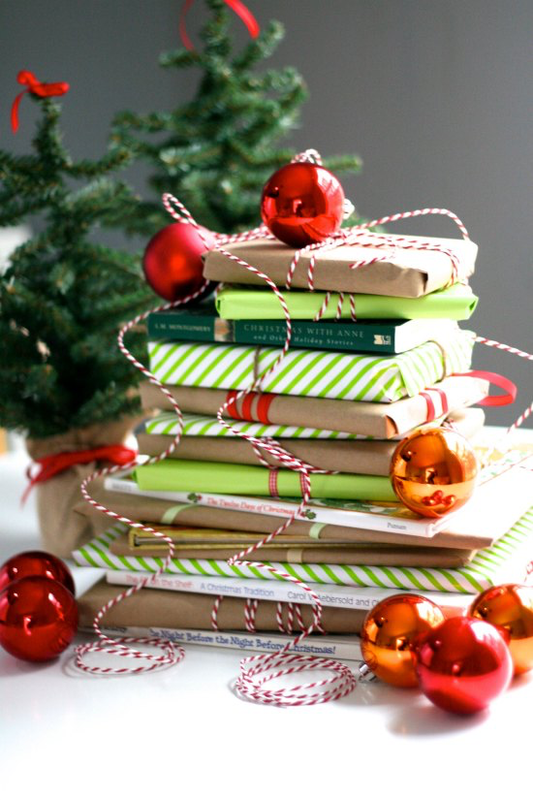 In Iceland, books are exchanged as Christmas Eve presents, and you spend the rest of the night in bed reading them and eating chocolate. The tradition is part of a season called Jólabókaflóð, or “The Christmas Book Flood.” Iceland knows what’s up. Take a page out of their book, pun fully intended, and give your kiddos a book Advent calendar this year. Each night, they can unwrap a book, snuggle up and have a magical Christmas tradition. Get the details on Modern Mrs. Darcy. 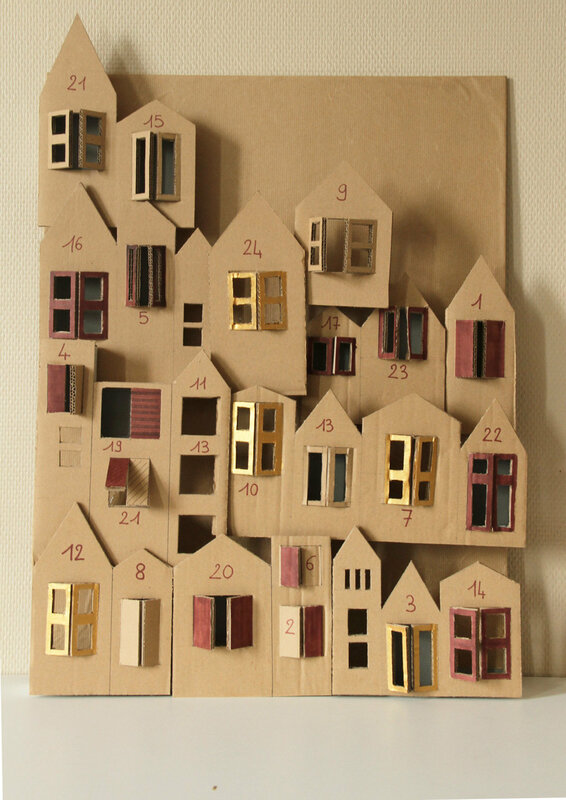 For the craftier among us, this DIY cardboard houses Advent calendar from Oui Are Makers is relatively easy and has very straightforward, easy-to-understand instructions (they are in French, but the step-by-step pictures are beyond enough instruction). This is really cute, and you can paint or customize your houses or make one big house to look like yours. 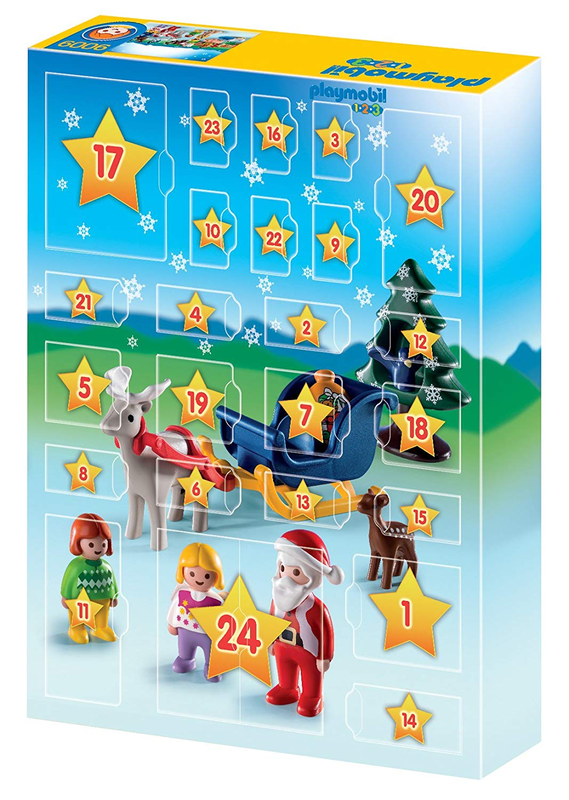 Playmobil is a part of everyone’s childhood, so make your kids’ countdown extra special with this Christmas on the Farm Advent calendar, complete with 24 surprise items for each day leading up to Christmas. Once all the pieces are revealed, discover a winter wonderland including a backdrop, four figures, a sleigh, reindeer, a farm fence, chickens, a cow, a pig, a dog and other accessories. This sweet railway Advent calendar with gold-foil detail comes in a keepsake bag, so you can use it year after year. Pair this with a copy of The Polar Express, and you’ll have a Christmas tradition your little ones will look forward to every year. 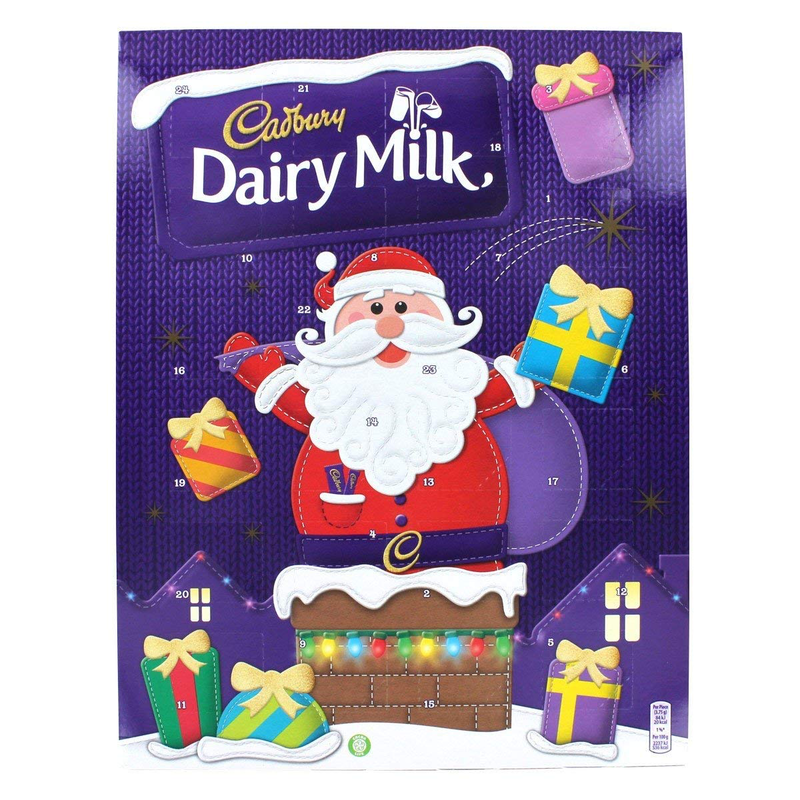 Of course, if you’re an Advent calendar purist and only a chocolate-filled one will do, go for the gold with a Cadbury Advent calendar filled with delicious Cadbury chocolates. You may need to get an extra one (or two) for yourself.